Without the help of churches, individuals, and mission-minded groups, Henderson Settlement would not be able to continue its work of providing for the basic needs of the people in our community. We would invite you to prayerfully consider joining us as one of our supporters. We have several options for you to donate to Henderson Settlement. Click here for information about designated gifts and funds. Our secure online donation program is very easy to use, it is through Easy Tithe. We recommend that you do register because doing so will enable you to track your giving, set up recurring payments, and/or set a pledge amount. CLICK HERE to donate with Easy Tithe. Giving through the Advance is also a good option. 100% of your donation comes to us. This process takes a little longer for us to receive the funds as they are collected and sent to us on a monthly basis. CLICK HERE to donate through the Advance. This link will open a window for the United Methodist's General Board of Global Ministries Advance page. 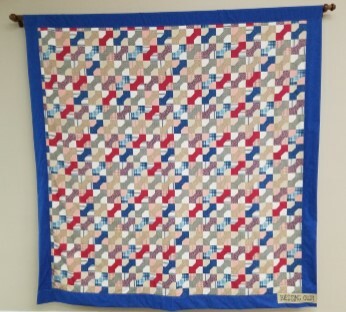 The Blessing Quilt Those wishing to become a Covenant Relationship Partner will enjoy seeing their quilt square adorning the quilt. ​Planned Giving Consider including us in your will, on your life insurance, retirement plan, and/or other financial accounts. ​Donate to Henderson Settlement and use one of these cards to give to the recipient. Mail in your Donations If you would like to send a donation through the mail, please address it to Henderson Settlement, PO Box 205, Frakes KY 40940. ​If you would like your donation to be in honor of or in memory of, please use this donation form. Send the completed form in with your donation.